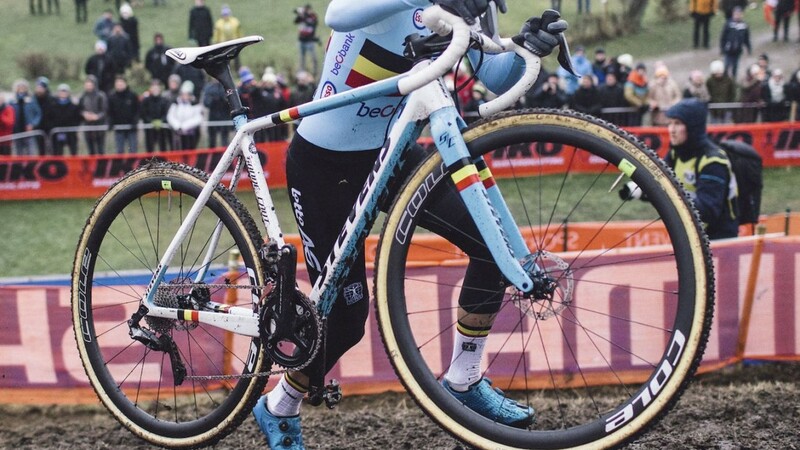 With the 2018/19 cyclocross season in the books, the final UCI rankings are set. We take a look at top overall riders and top North Americans. 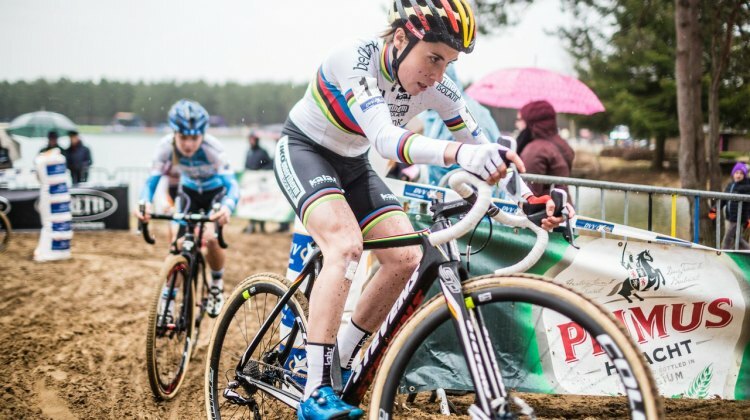 With dreams and titles on the line, Denise Betsema and Sanne Cant delivered when it mattered most at Superprestige Noordzeecross Middelkerke. 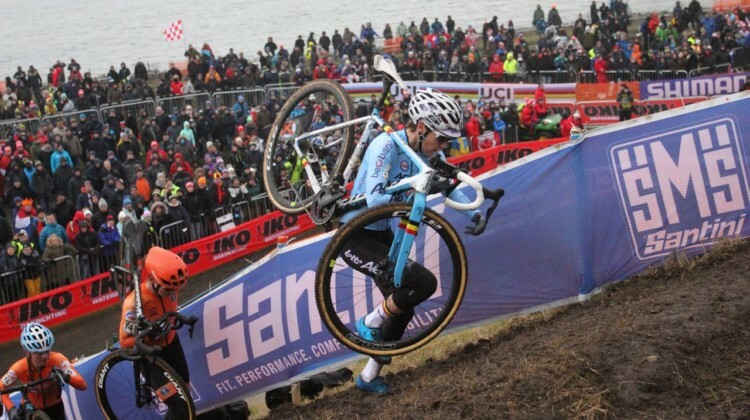 Denise Betsema was on fire today at the Superprestige Noordzeecross Middelkerke. Series titles were on the line, 4 Americans took the start. Full results. 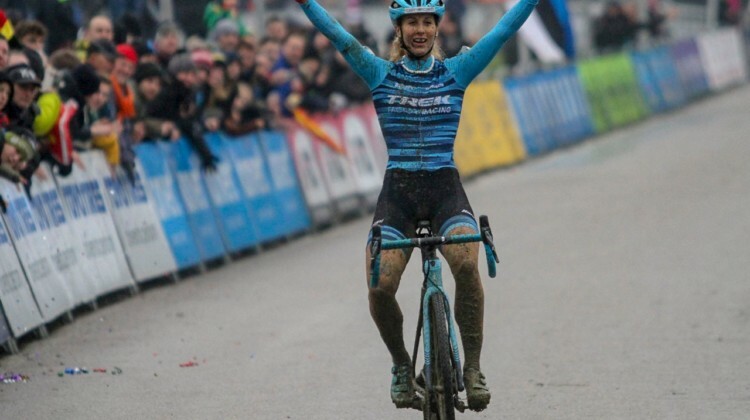 On a day for the mud devils, Sanne Cant used a last-lap move to win the 2019 Superprestige Hoogstraten. 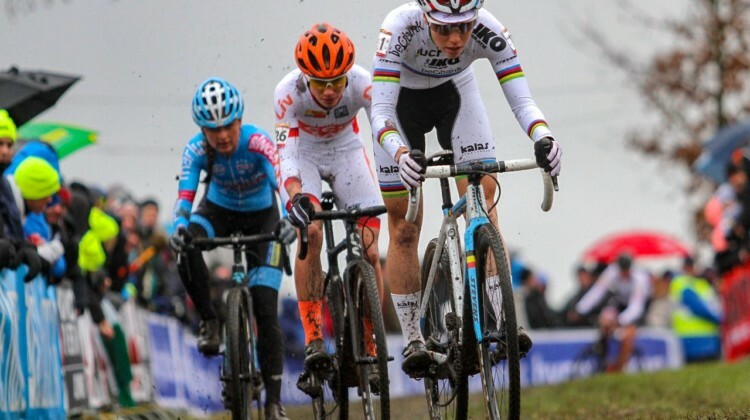 Elite Women’s race report and results. 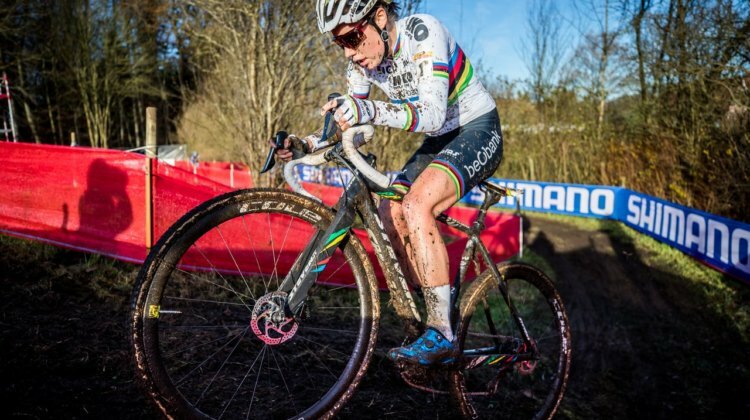 For the second straight day, rainbows reigned at the 2019 Superprestige Hoogstraten. 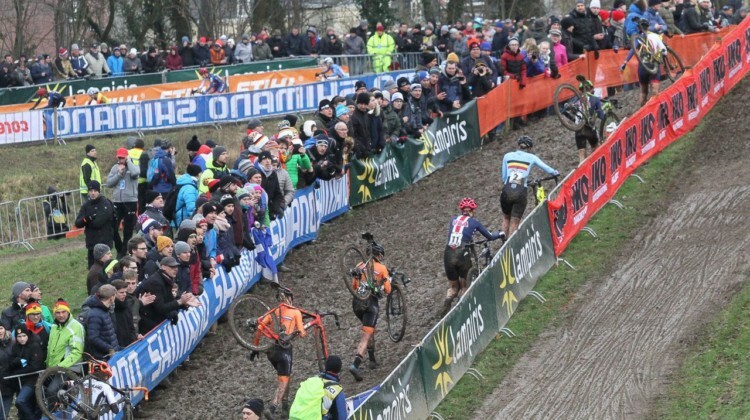 Elite Women and Men results for the penultimate Superprestige race. 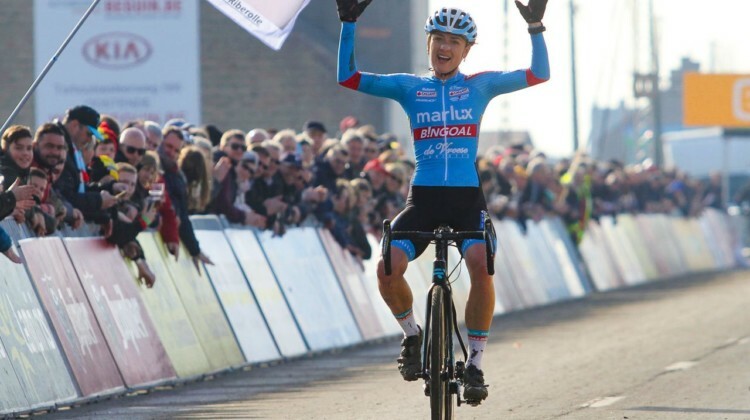 Fans were treated to a final lap thriller between four top women at the 2019 DVV Krawatencross Lille. Report, results from Lille. 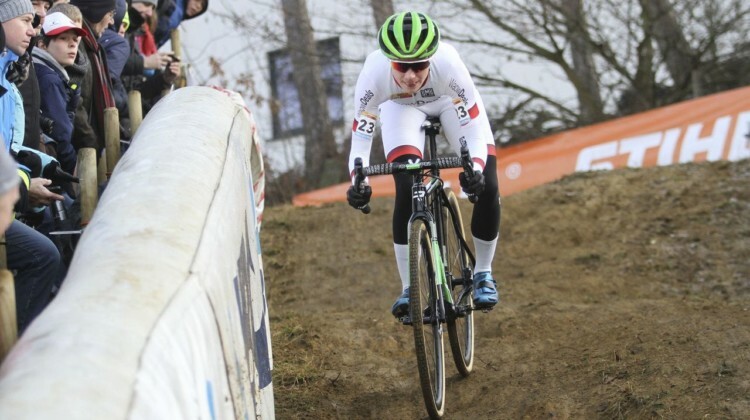 The Elite Women will cap the 2019 Cyclocross World Championships racing on Saturday. Here’s the start list, with 6 North Americans taking the start. 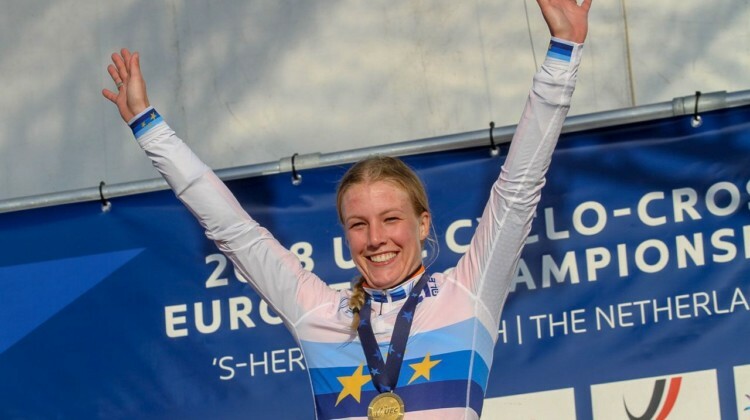 Sanne Cant faced a run-heavy, off-camber-filled course and a determined Loes Sels in her quest to win her 10th-straight title. Results, brief report. 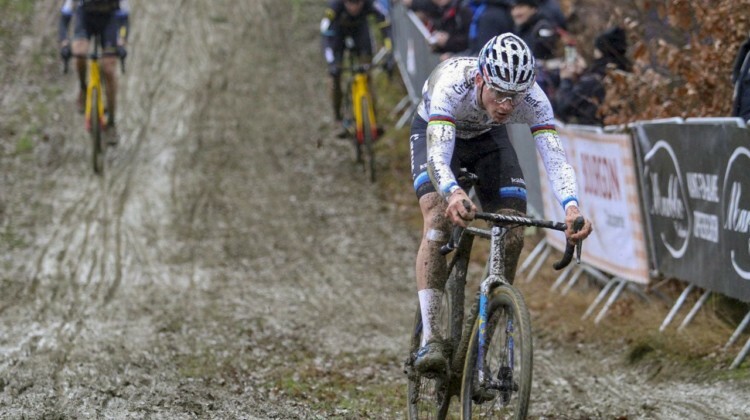 Mathieu van der Poel gave fans a thrilling performance at the GP Sven Nys. 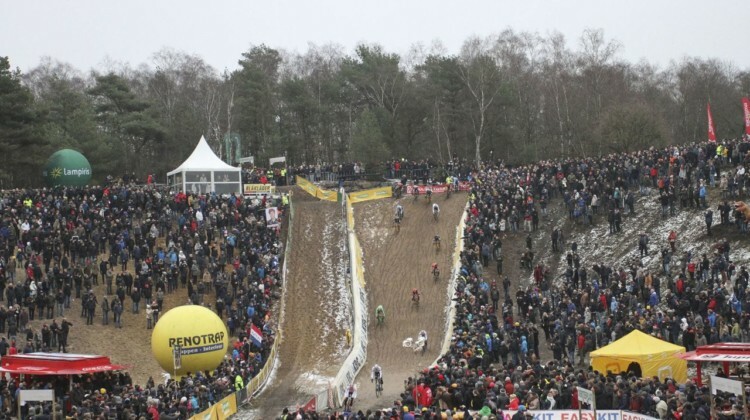 Watch the video highlights from the New Year’s Day DVV Trofee stop. 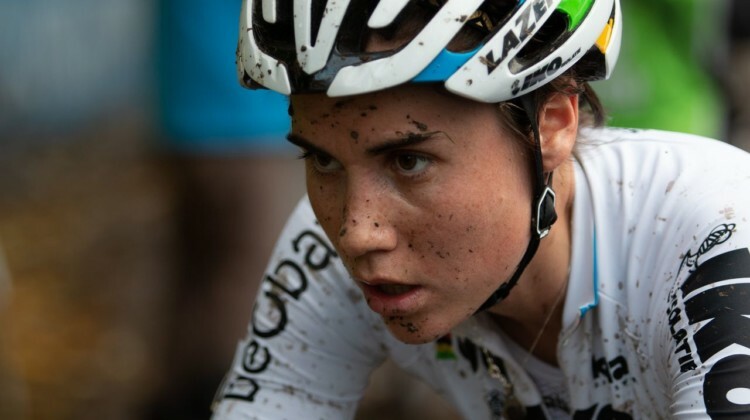 Jolanda Neff’s battle with Sanne Cant at the GP Sven Nys might already be a 2019 instant cyclocross classic. See the highlight video of the race here. Jolanda Neff started off 2019 by putting her competitors on notice. 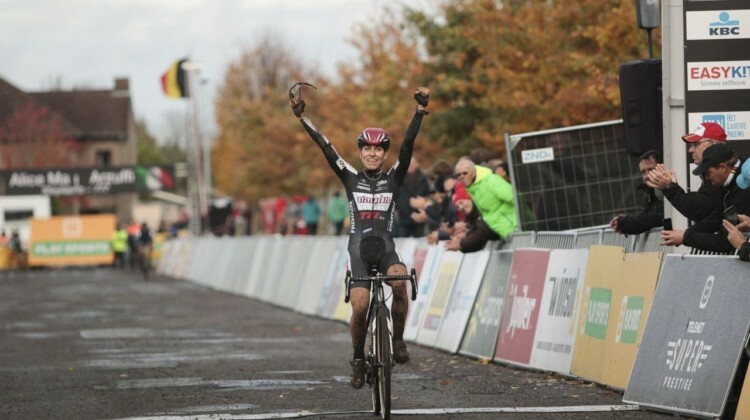 Full Elite Women’s results from the GP Sven Nys stop of the DVV verzekeringen trofee series. Eva Lechner entered the 2018 Superprestige Diegem bell lap with a lead, but Sanne Cant used her last-lap magic to get the win. Race report and results. It was a memorable day at Azencross Loenhout with the Helen100 Trophy Jr. Women race. 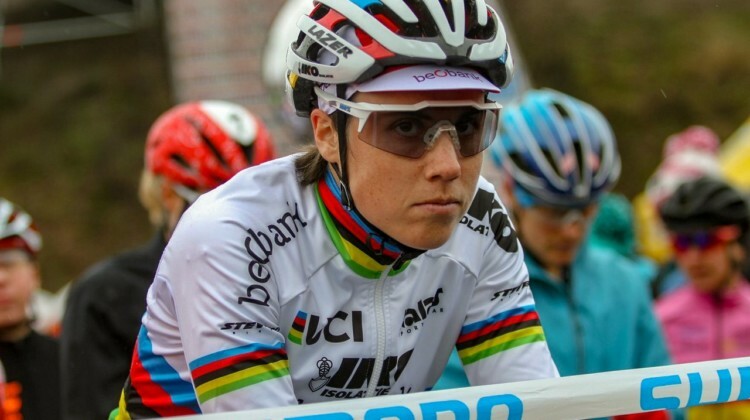 Get the story from the Elite Women’s race that came down to the wire. 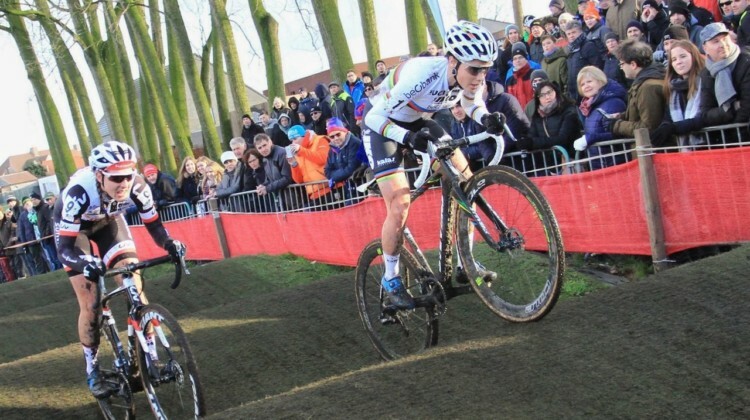 Sanne Cant and Mathieu van der Poel left their shoes out at the 2018 Waaslandcross Sint-Niklaas and took home gold coins. Full Elite results. 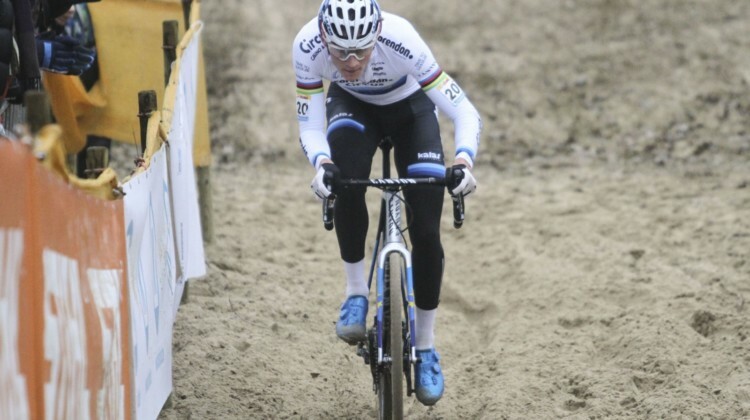 Sanne Cant and Van der Poel took home wins at the 2018 Superprestige Zonhoven held in December this year. Photos from Bart Hazen and results. 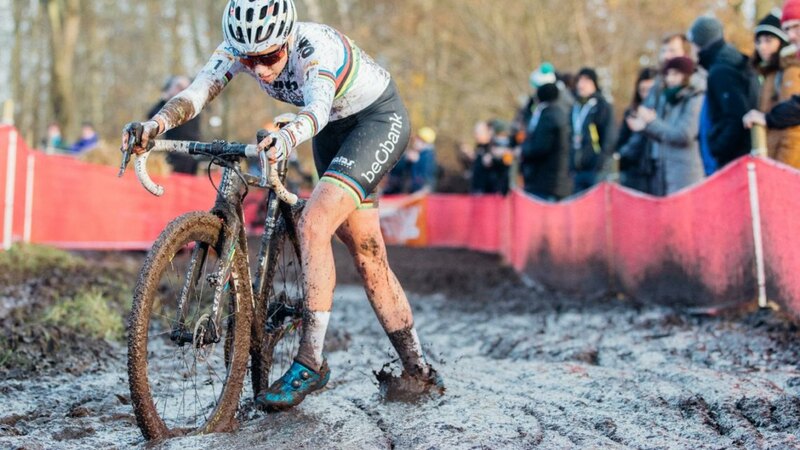 The day after the 2018 Masters Worlds wrapped up, Elites took to the cyclocross course in Mol, Belgium. See results for the Elite Women and Elite Men. 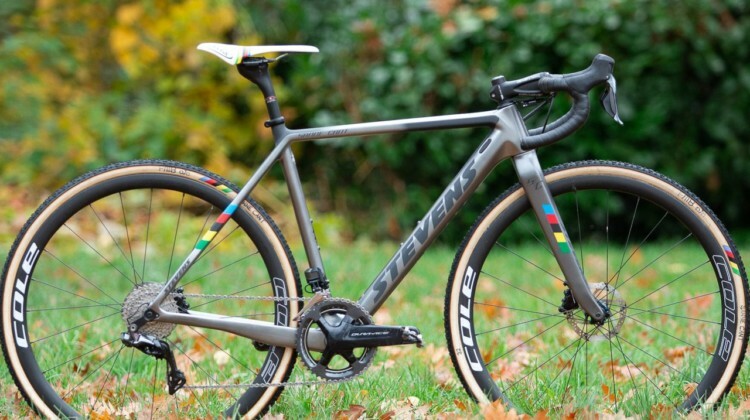 For the 2018/19 season, Sanne Cant is riding a Stevens Super Prestige befitting a two-time world champion. We profile her rainbow-themed bike. Alice Maria Arzuffi jumped at an opportunity when Sanne Cant slipped in the mud and won the 2018 Superprestige Gavere. Race report and results. 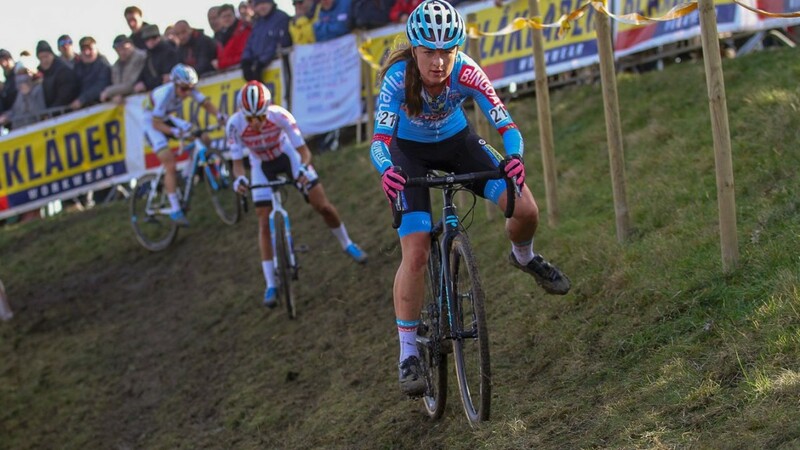 Saturday’s Elite Women’s 2018 Soudal Jaarmarktcross Niel saw an exciting duel that went into the race’s last 100 meters. Full results and mini-report. 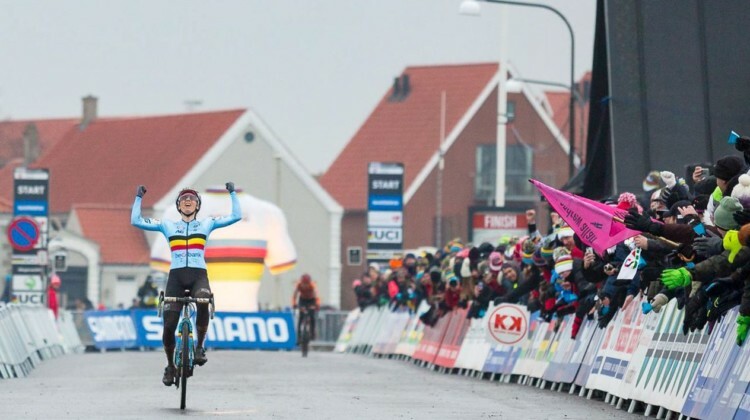 Saturday was a memorable one for Kim Van De Steene when she soloed to a win at Superprestige Niels Albert CX in Boom. Race report, results and photos. 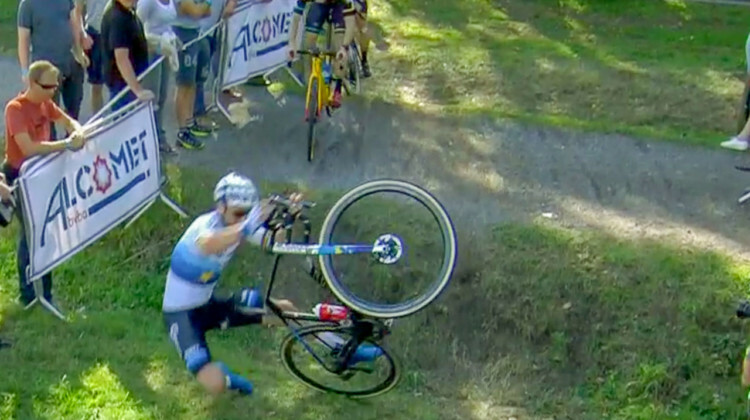 DCCX and Charm City are forming a CX mini-series, Gomez Villafane stars in Missoula, Tulsa Tough criteriums and news about Van Aert and Van der Poel. 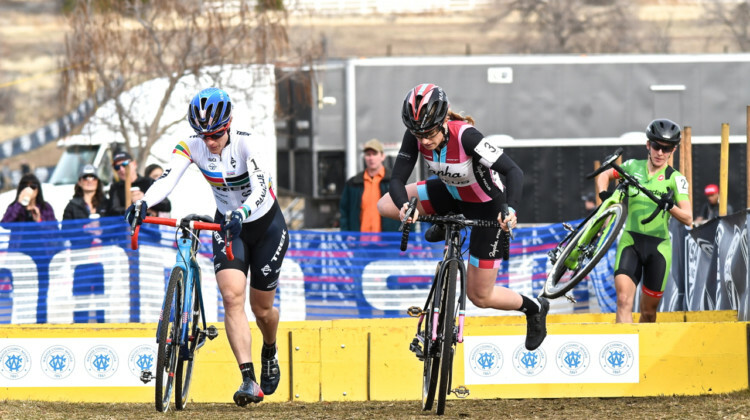 Katie Compton and Kaitie Keough capped an impressive 2017/18 season by finishing 2-3 in the final UCI Cyclocross Rankings. Stephen Hyde finishes as the top male over age 30.